Folksy :: Buy "Teddy Headband"
This is one of my animal range headbands. I have covered a plastic headband in brown acrylic yarn, knitted in garter stitch. 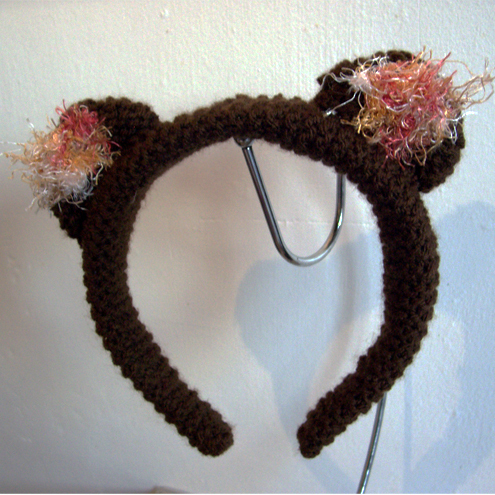 The ears are knitted in brown yarn at the back and fuzzy yarn at the front. It measures 35cm and width at the top is 3cm. I also have a cat version and a caterpillar one will be next. Folksy :: Buy "Nature Bear"
Folksy :: Buy "Funky Fluffy! A reversible handbag with round handles."